Where is Columbus Commons? 160 S. High Street, Columbus, Ohio. Right next door to Columbus Commons is the Lazarus Building. The Galleria is something to see. 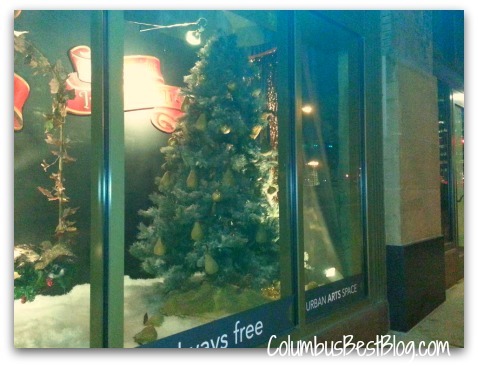 The store windows along Town Street have the Twelve Days of Christmas. There is a huge Christmas tree in the Galleria. Visit the Lazarus Building at 50 W. Town Street, Columbus, Ohio 43215. The W. Town Street address is the Galleria. Where is the Scioto Mile? 233 Civic Center Drive, Columbus, Ohio. John W. Galbreath Bicentennial Park is at the south end of the Scioto Mile. 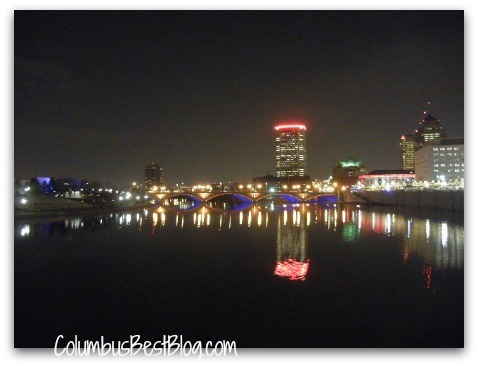 The photo of downtown Columbus is from the Scioto Mile. 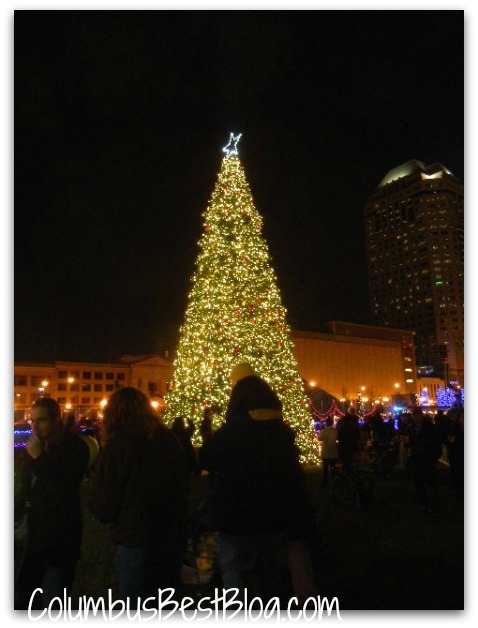 Do you have to go to Downtown Columbus to see “holiday” light displays? Nah. Other places to look at lights, this second to last weekend in 2012 include the Columbus Zoo, Alum Creek in southern Delaware County, Easton, Creekside in Gahanna. Others? Have things to do in Columbus or central Ohio you want to share with others? Share them on ’365 Things to do in Columbus Ohio’ a page on Facebook. The link to the Facebook page in the sidebar here. The best things to do will end up here on ColumbusBestBlog.com.